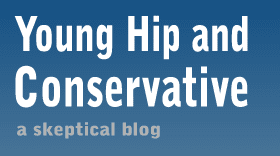 Young, Hip and Conservative: a skeptical blog: Trade can't hurt both partners, can it? Robin Hanson posed a good question this week after turning up a news article about Congress interfering with not only Americans buying from China, but selling to China as well. Presumably this stupidity is due to some sort of psychology, but what? Why object to both buying and selling to foreigners? Can people really think both sides are hurt by a trade? My guess: because firms are larger than customers and employees, we see the firm as dominant in both firm-customer and firm-employee relations. So buying into ownership of a firm is buying into a position of dominance. Thus people object both to locals buying stuff from foreign firms, and to foreigners buying into local firms, because they object to locals being submissive to foreigners. For my explanation, the focus is on the "Buy Local" movement instead of international trade. People who don't understand economics have no reason to establish a consistent model of how trade works. They believe that buying goods from someone outside the cherished community "leaks" wealth outside of the community, and they don't bother to work out the details and assume selling outside the community leaks wealth out as well, if they have a limited supply and could instead sell to someone from inside the community. Hanson is making the same mistake that biologists make when they visit the Creation Museum in Kentucky: they expect to see a cohesive, well-developed (yet fundamentally flawed) argument, but instead find a plastic dinosaur with a saddle.